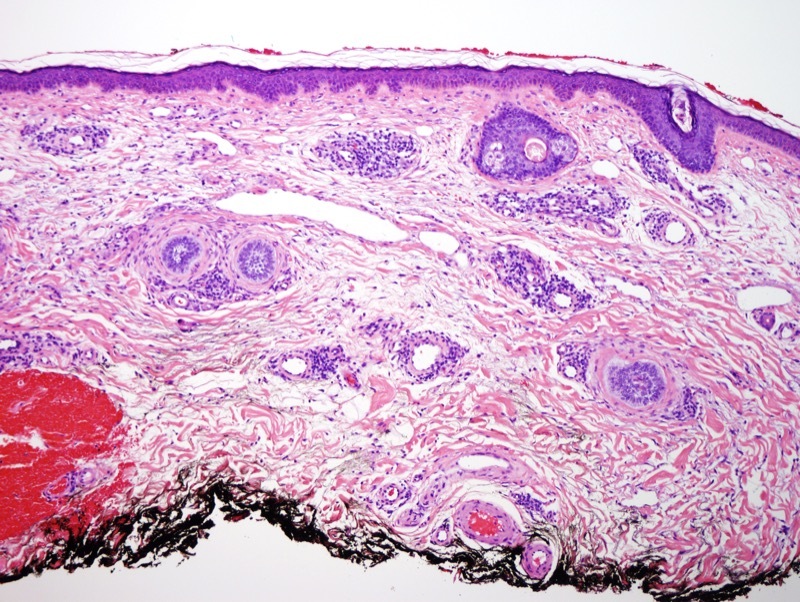 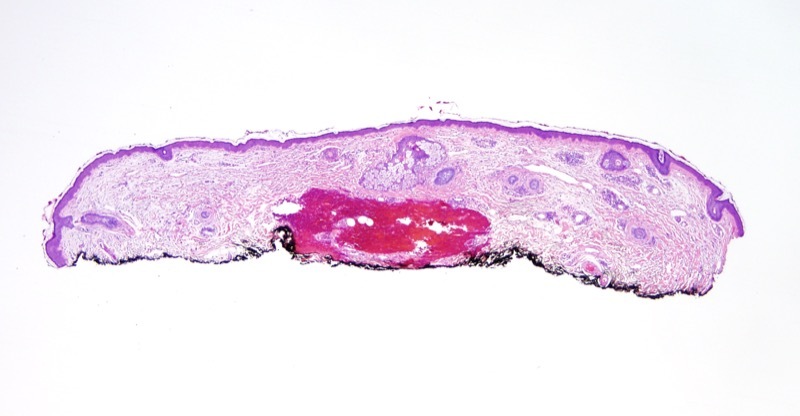 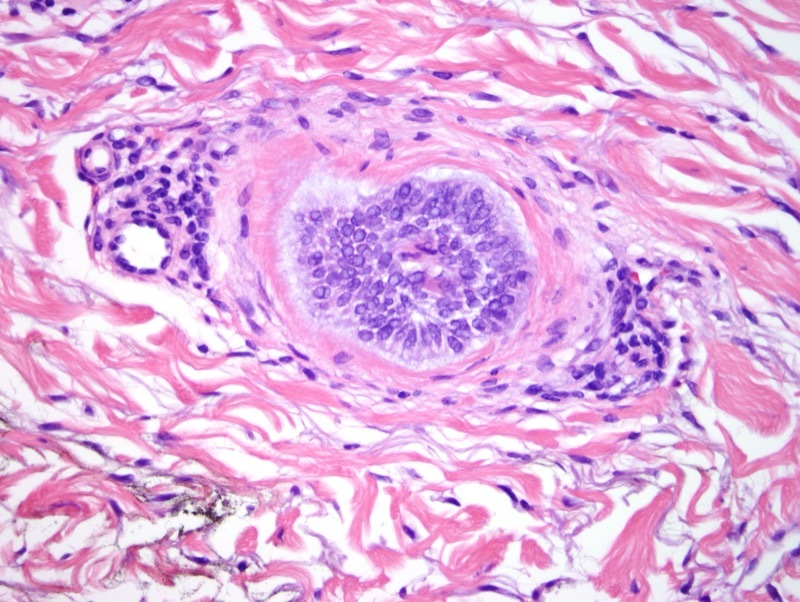 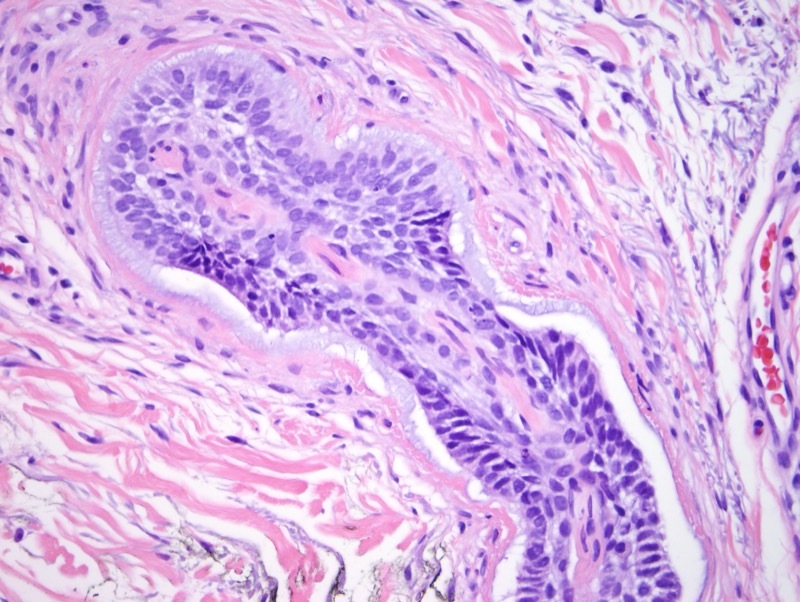 Basal cell carcinoma, infiltrative micronodular type with perineural infiltration. 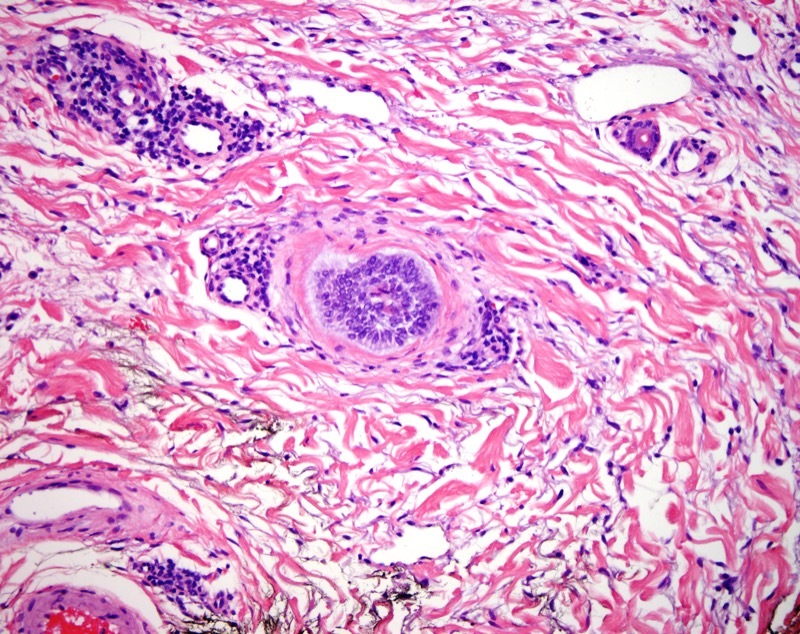 Discontiguous atypical basaloid foci are identified, of which these micronodular foci exhibit clear cut perineural infiltration. 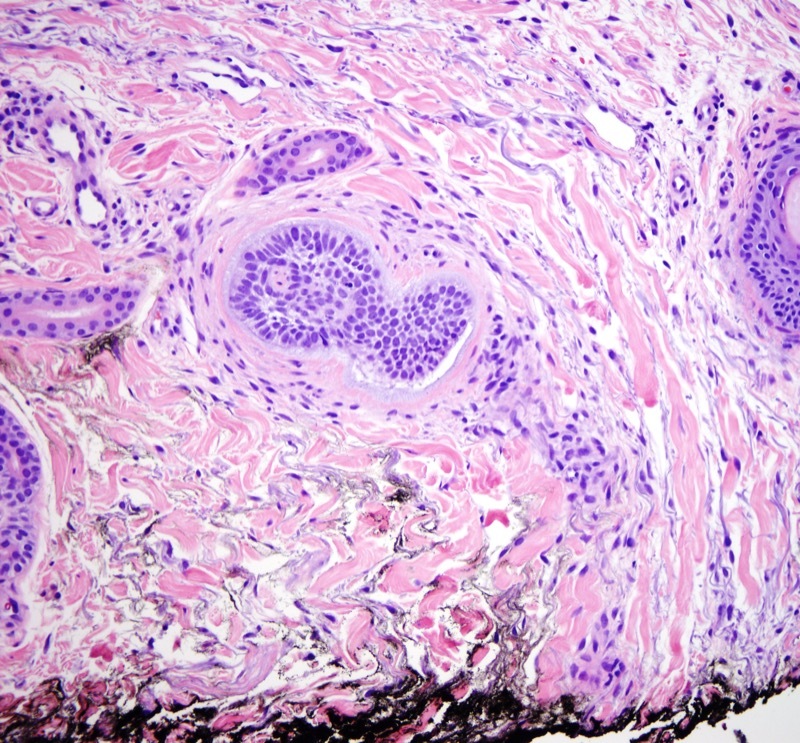 The perineural foci involve the margins of resection.